Safety performance monitoring is an essential component of aviation safety management systems. And by “essential,” performance monitoring is like your SMS program’s immune system. 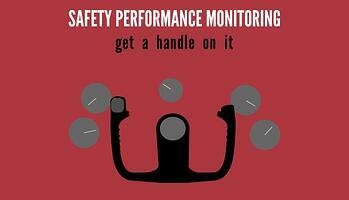 When performance monitoring is not handled well, your safety program will wither. Do you know what performance monitoring looks like? Performance monitoring basically involves ongoing (real-time) collection of safety data metrics that indicate the health and progress of an aviation risk management program. It is also used to ensure that key safety goals are achieved. Safety performance monitoring and measurement is an element of the Safety Assurance Component of the Four Pillars of SMS. These monitoring activities check progress of suppressing risk likelihood. Despite the fact that reactive risk management has the poor reputation of being proactive risk management’s less desirable younger brother, reactive performance monitoring is equally important. 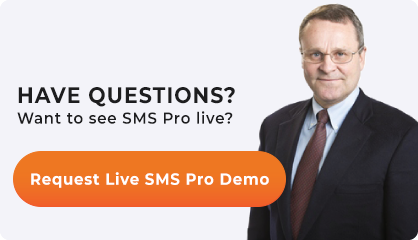 Reactive risk management monitoring assesses how well the SMS (employees and risk controls) are able to mitigate risky situations once a risk expresses itself. Both proactive and reactive risk management performance need to be monitored. Indicator: show whether or not objectives are being met. Bureaucratic: metrics used to quantify bureaucratic efficiency. Monitoring key performance indicators help asses how well safety goals and objectives are being met, and secondary metrics will ensure that you are keeping tabs on all other important safety aspects of the aviation SMS program. Employee performance monitoring is an indispensable resource for building quality safety behavior and safety culture. The fact is that employees will behave when they feel that someone is watching. That safety performance shows up on their performance reviews. Employee safety performance monitoring should be naturally included in all performance reviews. There should be no “separate” safety reviews. Safety needs to be considered on par with any other quality performance requirement of the employee’s position. Aviation safety culture leads directly to safety performance. You could even make an argument that SMS bureaucracy aside, safety culture is safety performance. What are the different types of safety culture? What are characteristics of effective safety culture? What are signs of mature safety culture? Leading indicators are crucial for safety culture performance monitoring. Safety culture is often the underlying cause of many safety incidents. Leading indicators are designed to assess and monitor underlying causes – known as “inputs” into safety performance. It makes sense find leading indicators that measure the kind of safety culture you feel benefits your organization the most. Information obtained from safety assurance and compliance monitoring activities informs the safety risk management process.